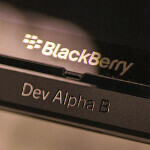 Remember those free BlackBerry 10 Dev Alpha handsets that RIM was giving away to potential developers? The OS has received a new update, to version 10.0.9.1103, which can be received via an OTA update, or via the Windows launcher. The new update re-brands BlackBerry App World as BlackBerry World, and the applications store now supports payments for apps and games including in-app purchases. The BlackBerry Hub placeholder is now available following the update, and when you turn on Development mode, notification is sent to the hub and an indicator light starts flashing. The update also brings changes to the UI and the size of application icons. Some of the known issues that have popped up on BlackBerry 10.0.0 Development Alpha B include the handset entering sleep mode when sharing a web page using NFC, audio problems when connecting the handset to another device using an HDMI cable, and the inability of the device to connect to the 3G network after booting up. Other problems range from clipped audio to the inability of the device to save new time settings. We're sure that all of these little problems will be worked out by the time BB10 is introduced January 30th. In the meantime, RIM is offering those creating apps with the BlackBerry 10 Dev Alpha device a chance to trade it in for a limited edition BlackBerry 10 handset.You can also register for a BlackBerry 10 Dev Alpha C model. For more information on either device, click on the sourcelink. Or blackberry state, considering their app store will not even come close to having a "world" of apps. Nor customers. I wish RIM would just adopt Android on all their new devices, geesh, give it a break! If BB can hold even 50% of their current users, developers will come. I still worry for them, but I hold out hope for a strong BlackBerry effort next year. 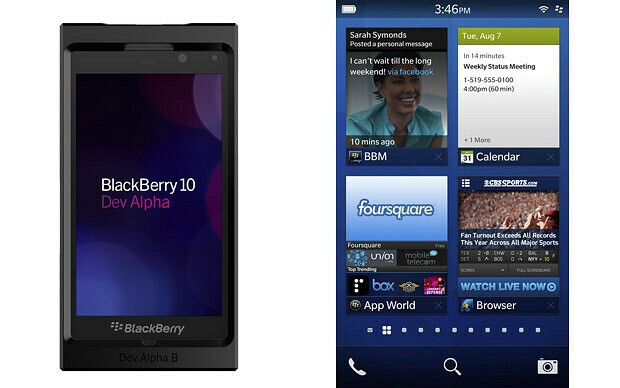 devs are actually loving BB10, since most C++ devs love it, android devs love it, and iOS devs love it too! coz its just so easy and no re writing is needed! and devs are also shock that its easier to develop an app on BB10... only take a few hours to make the app working on BB10! thats why im convince that BB10 will be great to all people! keep em coming RIM!!! cant wait for more!